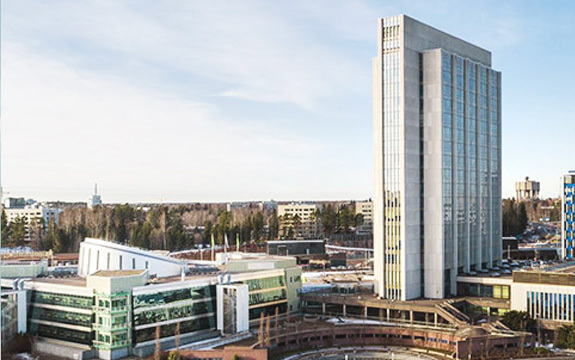 Keilalampi is home to the head office of Accountor Group as well as a significant part of Accountor’s functions in the Helsinki region. Keilalampi will serve as Accountor’s temporary office while the Accountor Tower is being renovated until 2020. Almost 500 Accountor personnel members are working in Keilalampi. Remember to follow the traffic lights and signs around Keilalampi area! personnel café Flow Cafe and an auditorium are located on the Plaza. The Plaza is surrounded by Accountor’s offices on two floors. carried out by Confide Oy. Can’t find the information you’re looking for? Feel free to contact the lobby services or make an urgent service advice.